It is surely difficult being a doctor’s secretary. Keeping yourself together when 30 patients and their attendants are ready to climb on your desk, asking when the doctor is going to arrive, why they are not allowed to see the doctor right away or entering the chamber even when a patient is already inside, can never be a piece of cake. You either have to keep a terrific sense of humour that keeps you calm in the din or have to learn to be obtuse, even if someone is screaming down your throat. Men, I’ve noticed, are particularly keen to get these things over with. As if the rest of us have the whole day free for the check-up! It is probably how men are less tolerant in holding their pee and need to relieve themselves on the roadside or even a ladies’ urinal (! ); the same way they can shop their stuff in 15 minutes and drive home. Quick is their keyword. To ponder, linger and wait is a formula they only reserve for the lady love or a job appointment. Otherwise, they just want to get done with. Even in bed! One usually doesn’t think the worst at a gastro clinic. I mean endoscopy and colonoscopy might sound too laborious but they are just procedures. They get done in a day (actually in a couple of hours). But leaning my back against a wall, waiting for my turn to come, I noticed the worst on the gastro problem chart – colorectal cancer. It blew the wind out of me. Non-gaseous of course! But while I was busying myself with the chronic mood shifts, courtesy my gastro curse, someone else might have the tumour of it all. I reluctantly looked up on the internet and saw that it is more common in the US and UK, though gastrological problems are unmistakably an Indian dietary corollary. Reminding myself that it is mostly because of meat and that I am a very infrequent meat-eater, I shut the worry lid and heaved a sigh of relief. Phew! I also noticed one thing. For the hour-long wait outside the doctor’s door, when your turn finally comes and the secretary hands you the file and tells you the room number (because there are 5 other doctors), you enter pretty much clueless. You can hardly recall when the doctor asks, ‘So what exactly is your problem?’ You try to recollect the foods you have trouble having and all that is cluttering your brain with are bad dates, arguments, mood swings and depression. Then you remember – these are symptoms. The problem is with the food you’ve been having. The doctor promptly prescribes you a colonoscopy and afterwards, you are diagnosed with celiac – the eternal enemy of a healthy appetite. 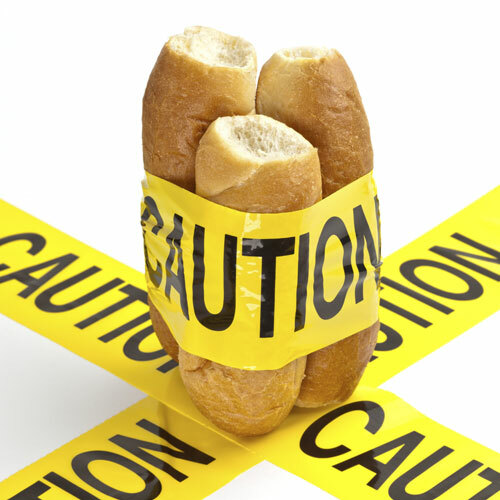 ‘Go gluten free,’ the doctor says. You step out thinking – Didn’t I read about gluten-free in a lifestyle magazine? – conveniently forgetting that dropping gluten from your diet is technically more arduous in meal planning than dropping non-veg off the menu. It seems like your earlier problems have coupled a bit and left you with another door closed. Doctor’s clinics have a weird impression on waiting patients. You walk in to reclaim your lost freedom and walk out thinking you have got it back; silently knowing that it isn’t a departmental store. You don’t just buy your medical freedom. There’s still a long way to go.